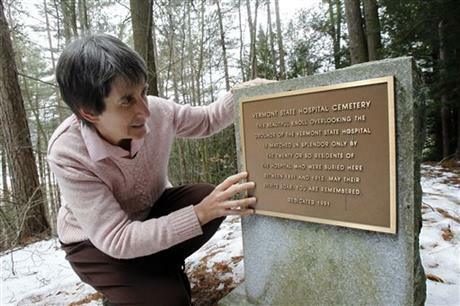 The story of Morningside Hospital is a civil rights story. Prior to statehood, there were no services available in the Territory of Alaska for individuals who experienced mental illness or developmental disabilities. At the time, mental illness was considered a crime. Alaskan adults and children were arrested, convicted of being insane, and sent by the federal government to live at Morningside Hospital in Portland, Oregon. They were taken from their families and communities by dog sled, train and boat. In the end, at least 3,500 Alaskans were sent to Morningside between 1904 and the 1960s, when Morningside was finally closed. Many were never heard from by their families again. These are the Lost Alaskans. The Lost Alaskans: The Morningside Hospital History Project is an effort by volunteer researchers to document the history of Morningside through territorial court records, national and state archives, vital statistics, genealogical and burial records, and interviews. Our goals are to have the Morningside story recognized as an important part of Alaska history and to provide information to families still searching for loved ones who disappeared decades ago. Thursday, October 25, 1906 Fairbanks Evening News Man Being Brought From Richardson Is the Third Case Which Has Developed Within Past Three Weeks Marshal Perry is in receipt of a telegram from Richardson, stating that two men, Maher and Espy by name, left the Tenderfoot town yesterday with an Insane person in charge, who will be kept here until there is some improvement in his condition or otherwise, until he can be sent outside to Mount Tabor (the early name for Morningside Hospital). This is the third case of insanity which has developed in the Tanana during the past three weeks. Jack Spencer was brought up from Gibbon and tried before Commissioner Erwln, and, although he was discharged, the general opinion appeared to be that he was a fit subject for the wheelhouse, unless he could be kept away from the Influence of hootch. Jack was Interdicted by the Jury which tried his case, or a recommendation was made to that effect. The case of Mrs. Black is hardly a week old. Mrs. Black, the mother of a family at Gibbon, went violently Insane at that place, and the commissioner there having no jurisdiction to try the case, the afflicted woman is now on her way to Rampart, where she will be held awaiting some improvement in her condition or until her case is dispensed of by Commissioner Green. Commissioner Hedger has already dispensed of the case of the patient at Richardson, but there being no place at that point where such cases can be properly handled, It was thought best to send the Insane person to Fairbanks. The name of the man is not known here, the Richardson commissioner having failed to mention it in his various dispatches. Earlier this month, Eric Cordingley sent an update on his continuing work locating Morningside patient burial sites. by Eric Cordingley The weather here has finally turned to "regular" fall weather and we have lots of rain. This means, of course, that the ground has finally softened up to uncover markers which I hope to do next weekend, weather allowing. The virtual cemetery is nearing 400. Check it out! The Alaska Humanities Forum recently funded a historical research project similar to ours. It's called Bringing Aleutian History Home: the Lost Ledgers of the Alaska Commercial Company. The project goal is to preserve newly discovered historical documents about the Aleutian Islands fur trade in the late 1800s. The following article is from the Alaska Humanities Forum blog. The Oregonian published a wonderful story about Eric Cordingley and David Anderson's work locating Morningside Hospital patient graves in Portland. The story, Researchers dig to find what became of Morningside Hospital patients, Alaska's mentally ill, provides a great description of their research methods and includes a video where they talk about why they're so committed to locating graves. Congratulations, guys! You're the best. Lina Olafsson lives in Stockholm, Sweden, and recently discovered that her grandfather was sent to Morningside Hospital when he was a young man. She kindly provided the following story and photos. By Lina Olofsson My mother died last year, leaving a box with an old diary, some pictures and old letters from my grandfather. My grandfather, Gus Berglund, was born in 1881. He lived in the little mining town - Malmberget - in the north of Sweden, just about 100 kilometers north of the Arctic Circle. He came from a large family, with three sisters and six brothers. 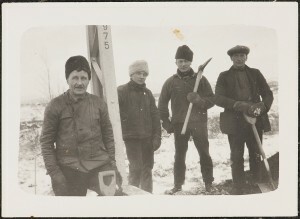 His father and the older brothers worked as iron-ore miners. At the age of 27, my grandfather Gus immigrated to Canada with one of his younger brothers – Conrad - and four of their friends. They arrived to Quebec on the Empress of Ireland on May 1, 1909. Their brother Erik had emigrated some years before, and was living in Spokane, Washington with his young wife and a son. Their sister Elin emigrated some months after my grandfather, and she settled in Vancouver, Canada with her husband and four children. 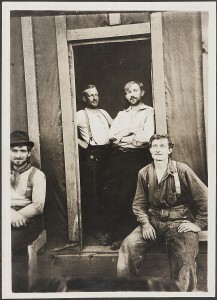 From 1910 to 1914, the two brothers, Gus and Erik Berglund, worked together in different railway camps in the Spokane-Seattle-Vancouver-area. Sometimes together - sometimes apart. My grandfather kept a diary during the first years in Canada and United States, where he wrote some short notes about the different jobs. But the last note is dated 1914, and there are no letters after that time saved between the siblings in Canada and their family in Sweden. 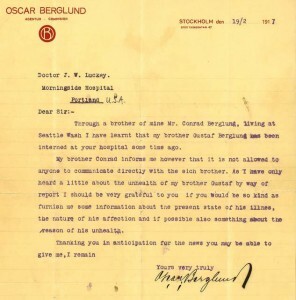 But I found a [download id="119"] from February 1917, written by a brother in Sweden to Doctor J. W. Luckey at Morningside Hospital, asking about my grandfather Gus. He had heard that Gus had been admitted at Morningside, but the family was worried and could not get in contact with him at the hospital. The patient records I found from Morningside state that my grandfather Gus Berglund was admitted from Knik on May 8, 1916. His diagnosis was, "Catatonia, Silent, uncommunicative, Morose". About a year later , on June 7, 1917, he was discharged to Seattle where his brother Conrad was living with his family. Gus probably went Alaska, to build the Alaskan railway, which was constructed at that time in the area of Knik. He probably lived in the Wasilla railway camp with his brother Eric when he was taken ill. Or maybe he went to Alaska for the gold? I probably never will find out what happened to my grandfather Gus in Alaska. After First World War grandfather Gus returned to Sweden. From 1923 to 1932 he was building railways in the north of Sweden. 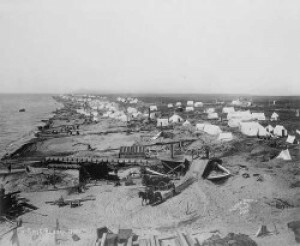 The city of Nome was founded on April 9, 1901. By the end of the decade, there were 20,000 residents, most of whom were starry-eyed optimists convinced they were going to strike gold on the beaches of Norton Sound. Mamie Ball and her husband Harry were two of the gold-seekers. Harry died in 1927 but Mamie lived in Nome until she was committed to Morningside in 1941. Her death certificate was among those posted on the Records Archive earlier this month. It's interesting for a couple of reasons. First of all, there was a note written on the back of the Oregon Death certificate that detailed her death soon after her arrival in Portland. The other interesting aspect is that there are two death certificates, one from Oregon and the other from Washington. It appears that the Oregon certificate, filled out soon after her death, was corrected by Eliza Scott, her sister. 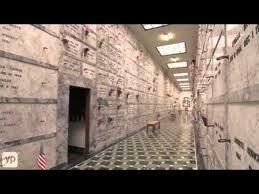 Mrs. Scott lived in Seattle and took Mamie's body there for burial. Apparently, the Washington death certificate was needed to do that. The death certificates and note can be found here. [download id="118"].